Lovejoy Lacrosse is very excited to announce the hiring of Rainey Hodgson as the Head Coach of our new Lady Leopards’ High School lacrosse team! The High School team is set to begin its inaugural season this Fall. Rainey will also serve as the Head Coach of the Lady Leopards’ 7th/8th grade team. 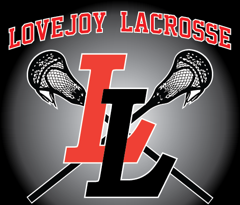 Lovejoy Lacrosse is extremely proud to welcome Rainey to the Lovejoy Lacrosse family. Rainey comes to Texas via her hometown of Long Island, New York. Most recently, Rainey was an assistant coach at Coastal Carolina University, a NCAA Division I program in South Carolina. Rainey was a highly decorated player at Ohio State University and at West Islip High School. While at Ohio State, Rainey played in 56 games with 32 starts during her four-year career and was a 4-year letter winner. She served as co-captain in her senior season when she helped Ohio State set program records with its 11-1 start, a nine-game winning streak, and a No. 8 national ranking. In her final year as a player, Rainey finished second in the Big Ten in assists, third in points, and fourth in ground balls per game. She also earned Big Ten Player of the Week honors after she recorded a career-high eight points on four goals and four assists as Ohio State knocked off Penn State at home. Rainey’s team also made appearances in the NCAA Women’s Lacrosse Tournament in 2014 and 2015. 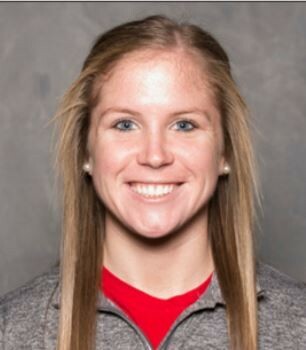 After graduating, Rainey stayed with the Ohio State University women’s lacrosse team and served as a student assistant coach. She was a crucial part of developing team fundamentals, advancing the skills and concepts of all members on the team including goalies and draw specialists. Rainey was involved in daily practice planning, developing and implementing drills based on each position’s skills set, and executing each drill/concept at practice. This past year, Rainey was an assistant coach at Coastal Carolina University. At CCU, she mainly focused on developing the offense. Rainey's big focus was on small game tactics, taking individual stick skills to the next level, proper form on shots, strategies on how to win the draw, and basics of picks and rolls. This season, Rainey was instrumental in leading the Coastal Carolina team to their second straight Atlantic Sun Conference championship game. Rainey brings a tremendous amount of energy, passion, and knowledge of the game from having played and coached at the highest level. She will be a great fit at Lovejoy and the program believes Rainey is the perfect coach to lead our Lady Leopards’ High School lacrosse program into its inaugural year!